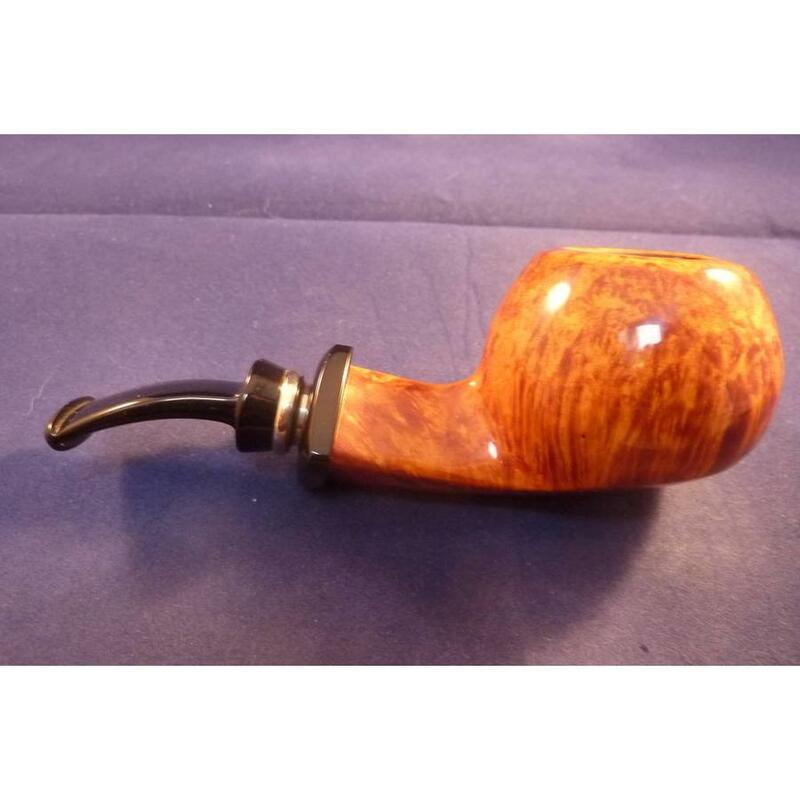 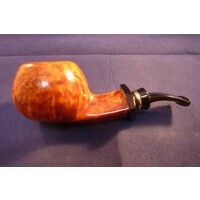 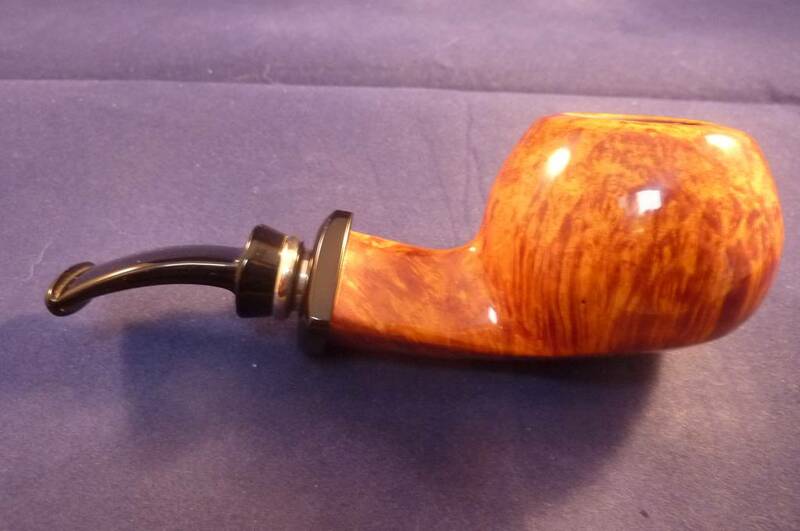 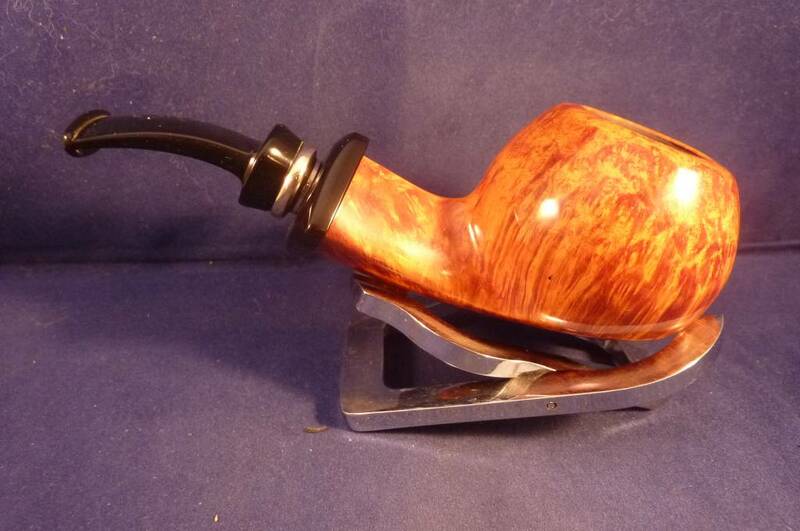 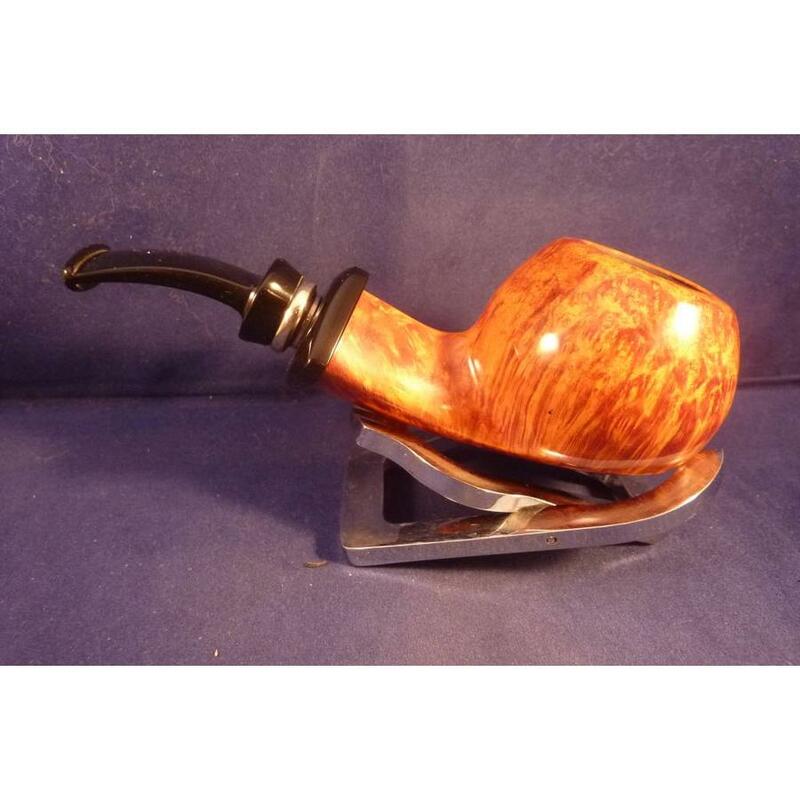 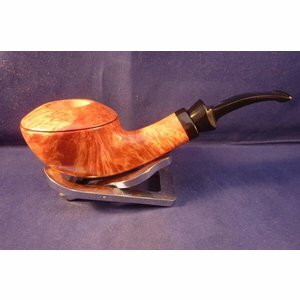 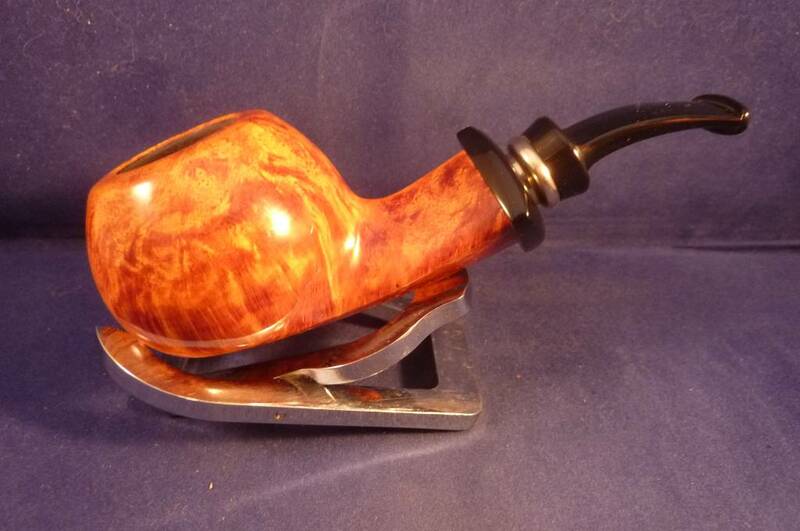 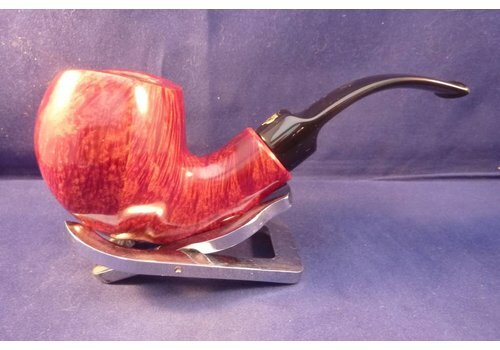 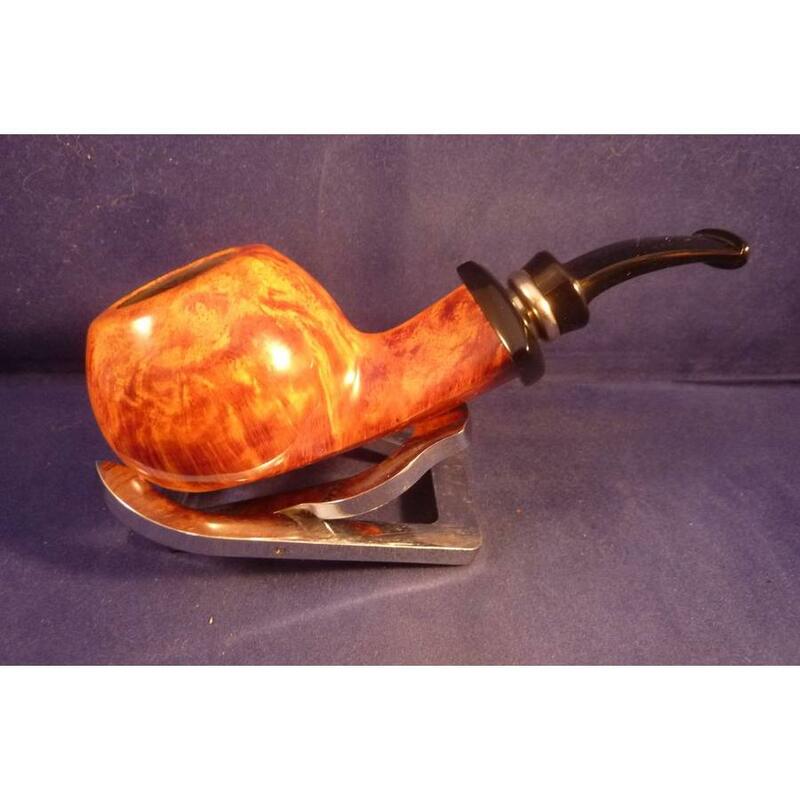 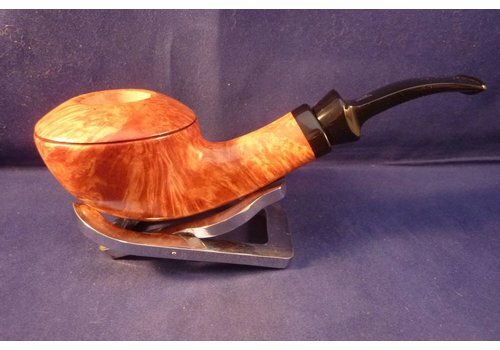 Danish smooth briar pipe made by Peder Jeppesen. He uses the best and handsorted briar from Corsica, Greece or Morocco. 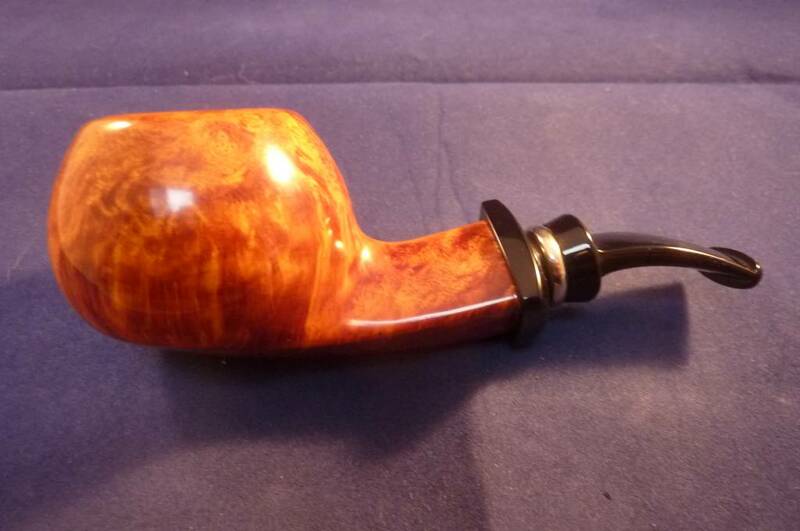 Really great quality. 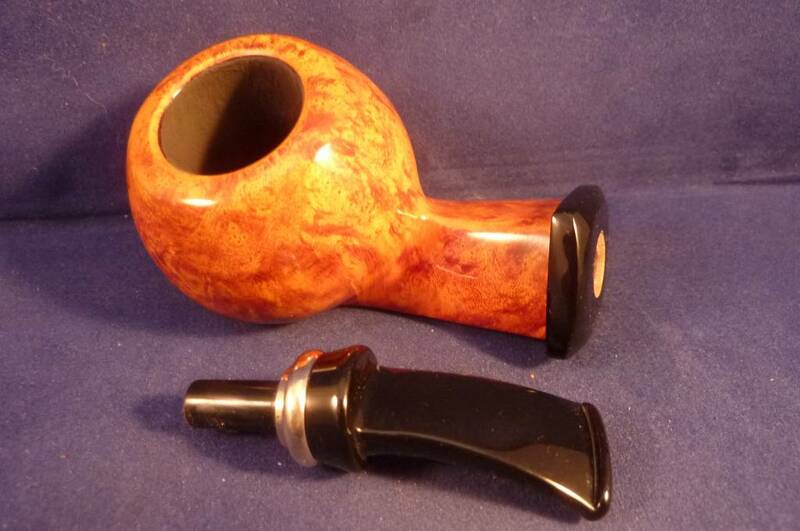 Acrylic mouthpiece, without filter. 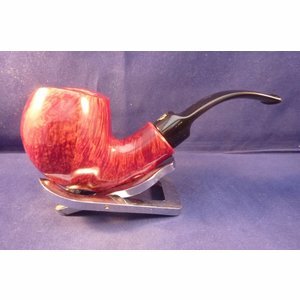 Stanwell have remade a limited amount of the classic model 131. 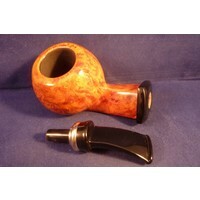 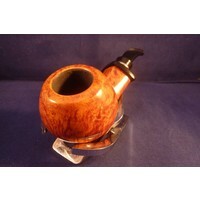 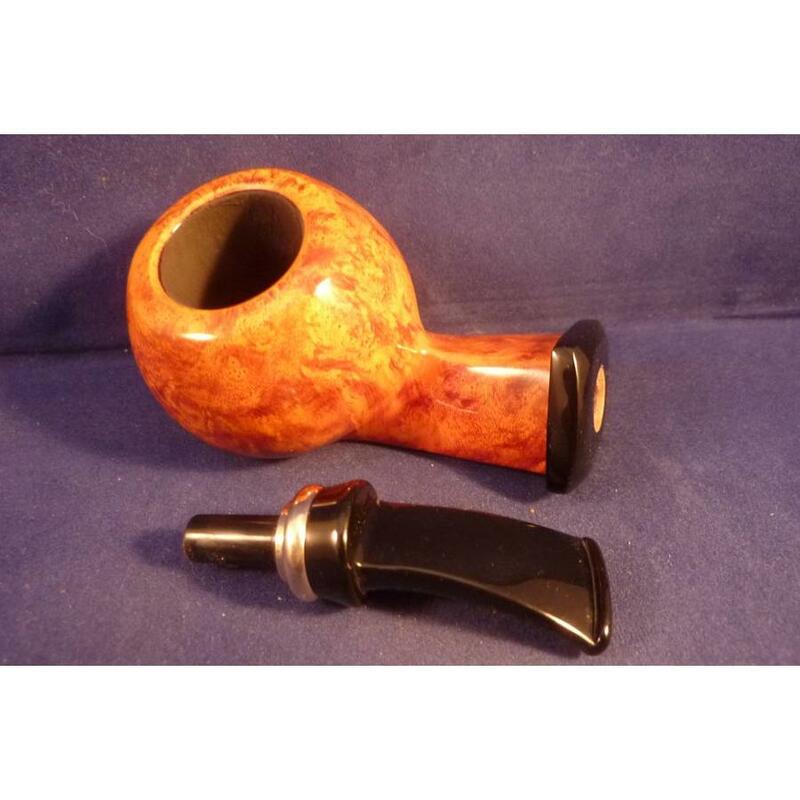 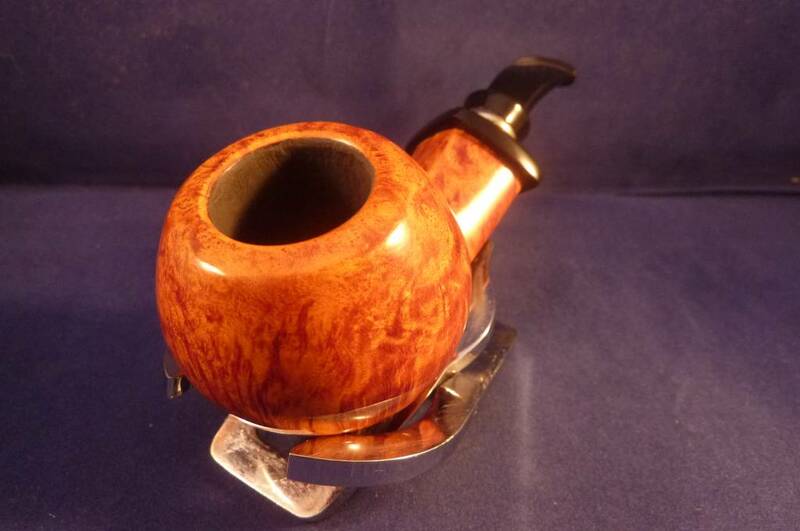 It is an elegant ball shaped pipe with a long stem and a short saddle mouthpiece. 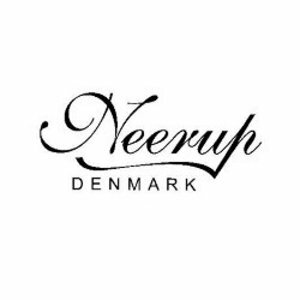 The sterling silver ring adds an extra touch of elegance.